At a news conference on Monday, October 8, NHL Seattle announced that they will build their training center and team headquarters in Northgate. 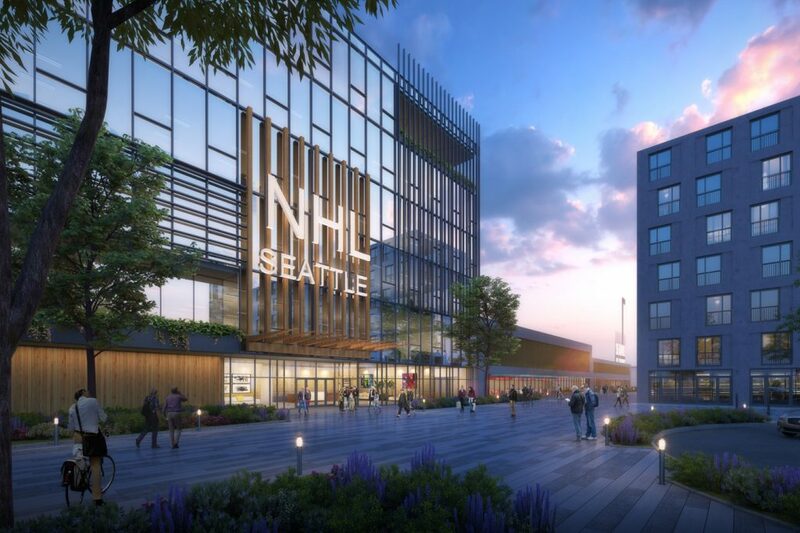 The NHL Seattle Ice Centre will be part of Simon Property Group’s redevelopment efforts at Northgate Mall; part of which includes tearing down 60 percent of the existing mall to make way for construction. The privately-funded, 180,000 square foot development will be located on the east side of the existing Northgate Mall (along 5th Avenue NE). 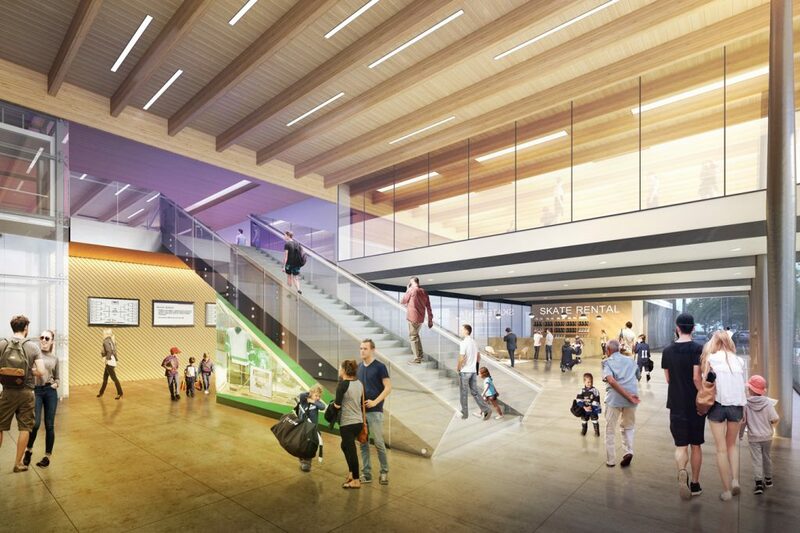 Among the facilities will be three NHL regulation ice rinks with spectator viewing locations. 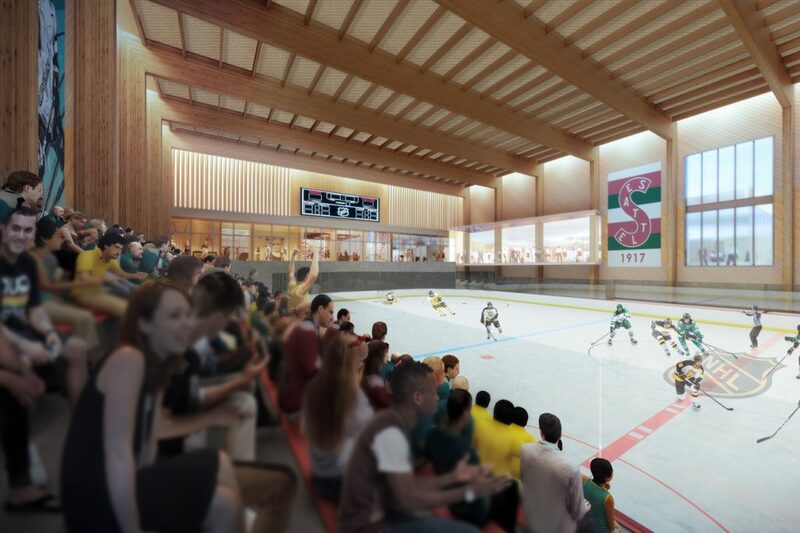 The main rink will have seating for 1,000, meanwhile, rinks two and three will each hold 400. 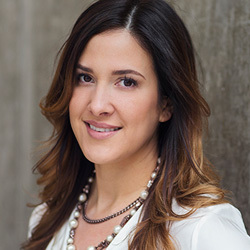 The training center will be on par with the Seahawks’ training facilities in Renton, offering “state-of-the-art locker rooms and strength and conditioning areas to recruit and retain top talent.” The development also includes offices for NHL Seattle hockey operations and administrative staff; and restaurant, bar, and retail space. 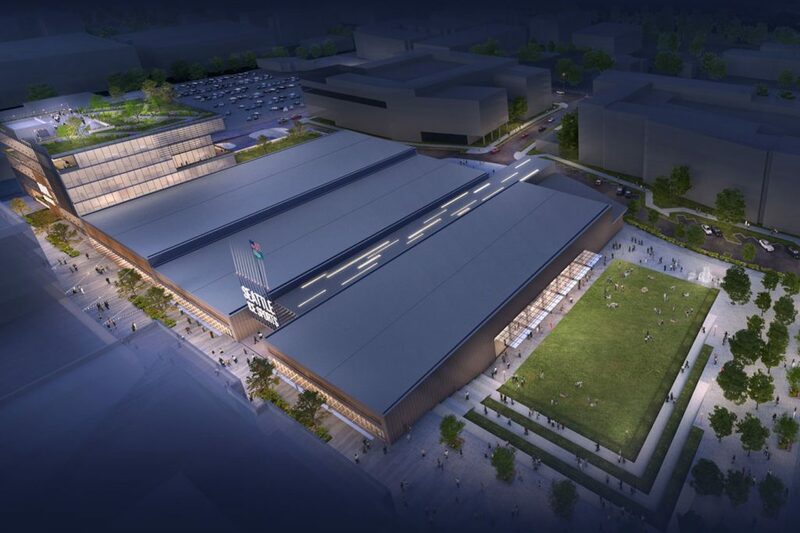 In addition to the NHL, community, adult, and youth hockey; the facility will also become a host site for training camps; national tournaments; figure skating and training; public ice time; and learn-to-skate-programs. This news comes a week after the NHL executive committee voted unanimously to recommend that the league’s full board of governors award Seattle an expansion franchise. 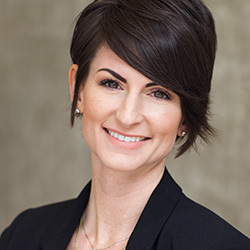 As a result, Mayor Jenny Durkan is allowing OVG “to begin necessary pre-construction activities as soon as possible” for KeyArena, rather than waiting until after the official NHL vote in December as stated in the City’s Development Agreement with OVG. 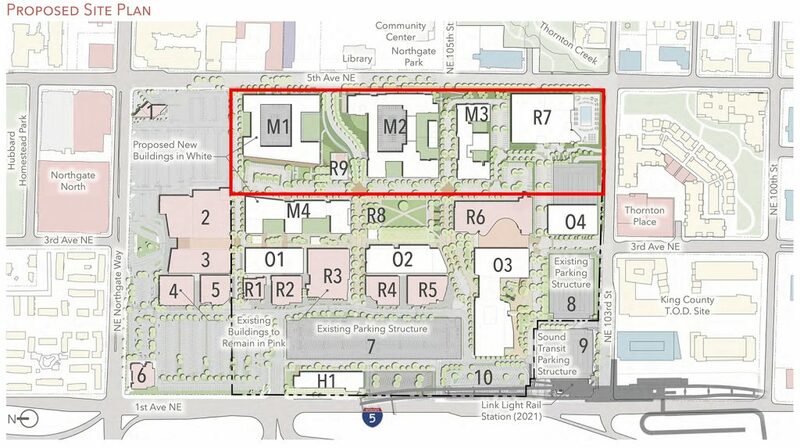 Meanwhile, construction on the NHL Seattle facilities in Northgate will begin “as soon as is feasible.” Simon Property Group has been going through the Master Use Permit process and the area is already zoned, thus streamlining the process for the construction of the NHL Seattle Ice Centre. Groundbreaking could occur mid-2019, with the possibility of construction complete before the KeyArena project is done.